All of these benefits are achieved while using less engine power through a reduction in parasitic engine drag during cruising situations. These cruising losses, common during normal driving, are nearly eliminated thanks to Magnuson's unique integral bypass valve system, giving you near-stock fuel economy under normal driving conditions, and instant torque when you need it. 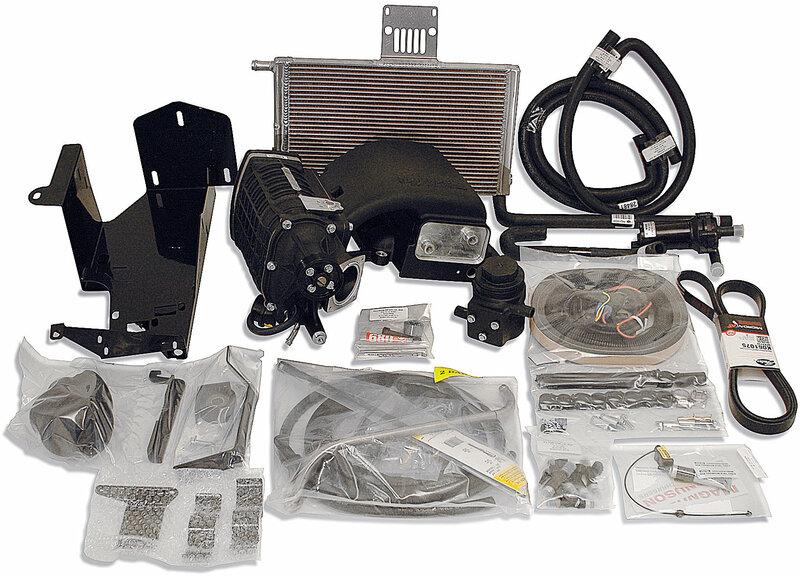 Additionally, this supercharger system comes with all of the necessary tuning and fuel system upgrades your Jeep will require to handle the boost this blower delivers. This includes new high-flow fuel injectors that retain all of the factory "push-lock" connectors and a Diablo Sport Trinity handheld programmer. 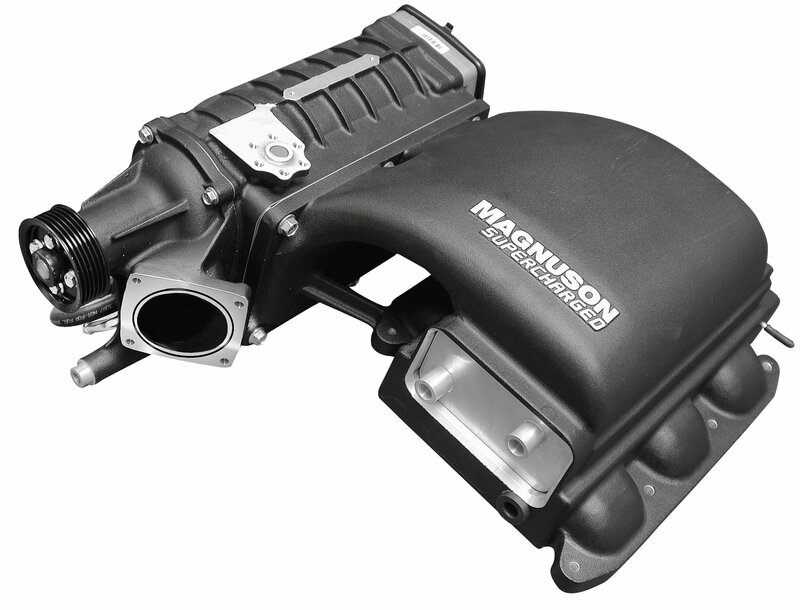 Magnuson's ECM recalibration ensures proper adjustment of the air/fuel and ignition timing settings to optimize and manage the increased torque and horsepower of your supercharged Jeep while maintaining its street driving manners and fuel economy. As you can see this is truly a complete system with all of the components required for a professional, and OE-looking installation. You will not need to purchase any additional components to perform your forced-induction transformation. 33% increase in torque and 41% increase in horsepower. Diablo Sport Trinity Handheld Programmer.